I don’t think I’ve ever been happier to see a new year! The last one got really weird, with my husband in the hospital twice, ending with a surgery. But he’s bounced back! He’s even taken a job after years of independent consulting. We celebrated on New Year’s Day by walking around a local reservoir. Near the end of the hike we found the boat rental shack, and that’s where I snapped this picture. I was drawn to the bright (sparkly!) saturated purple and turquoise paddle boats side by side with the sun faded ones. There’s a palette in there! So I’m inviting you to my join first ever Instagram challenge! Whatever your art or craft, I hope you’ll have fun with this palette. If you work digitally, the Hex Code and RGB info is below. If you decide to leap in, please use the hashtags #paddleinto2019 and #paintmebright and I may repost your work! Have fun! From the first collection in 1946, Marny Tickle's design features a silhouette of Great Britain surrounded by lines from Shakespeare. Alastair Morton's signature Sketchy Flowers, 1952. From the 1947 collection, Alastair Morton's design graces the hardcover edition. 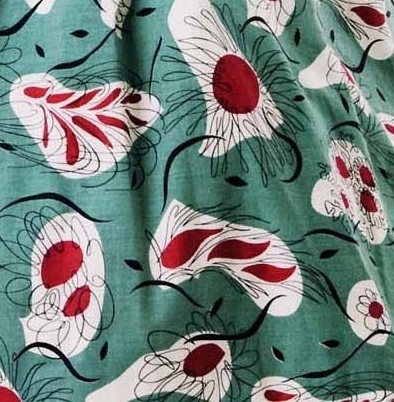 I love surface pattern design of the era bracketed by post-WWII to the mid 1960s. Whether for fashion or interiors, the designs tend to be bold, and sometimes even a little quirky to our sensibilities. A major influence during this time was the Festival of Britain, 1951. Horrockeses Fashions launched in 1946, so is placed squarely in the era I so admire. As I am also an anglophile, maybe it's a little surprising that I hadn't clocked onto the iconic British brand until recently. 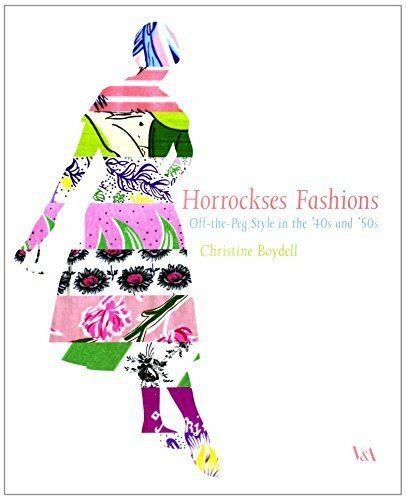 This lovely book from V&A Publishing is great fun for connoisseurs of both post-WWII fashion, and surface pattern. Wasp waists and crinolines abound, all fabricated in Horrockeses Fashions' unique textiles, which came to set trends in the industry. From the beginning, textile design was intended as an important factor in Horrockses Fashions' success. While they purchased a majority of designs from outside studios, they also hired in-house designers. I was not familiar with names like Marny Tickle, Alastair Morton and Joyce Badrocke. Pat Albeck maybe a more familiar name. (She continued to design almost right up until her recent death.) She worked in-house at Horrockses Fashions from 1953 to 1958. 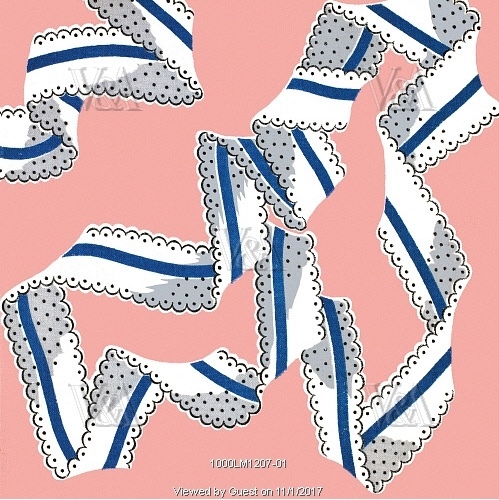 She designed some of their often-imitated bayadere (floral stripe) designs. But more importantly - and unusually for the industry, Pat collaborated closely with Horrockses Fashions clothing designers with specific garments in mind. This collaboration produced some unexpected results, like lobsters accompanied by flowers and butterflies. The sheer quirkiness of pineapples and roses in combination makes me smile! 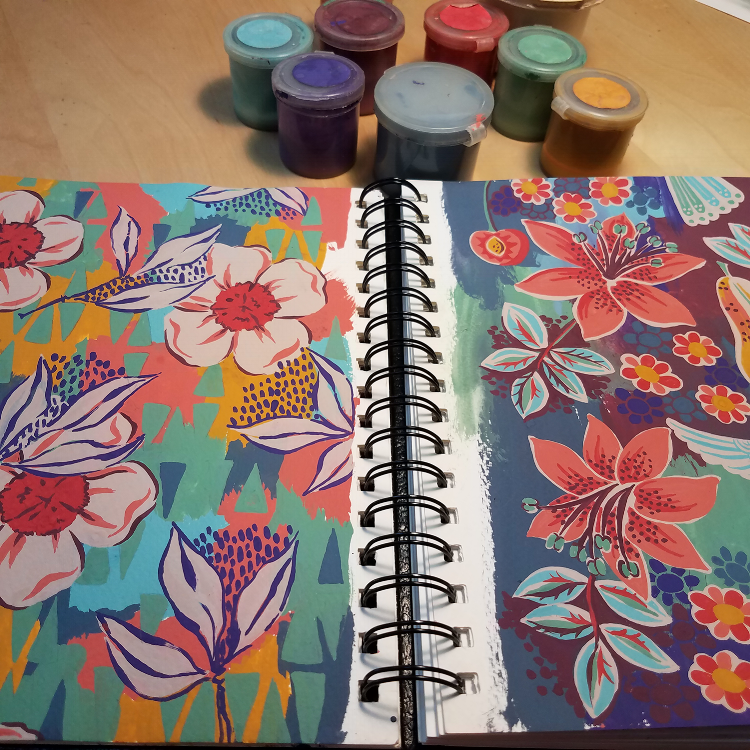 With it's combination of retro fashion and fabulous surface pattern designs, this book is a worthy addition to any surface pattern design library. Bayadere (floral stripes) were an ongoing theme for Horrockses Fashion and were often imitated by competitors. 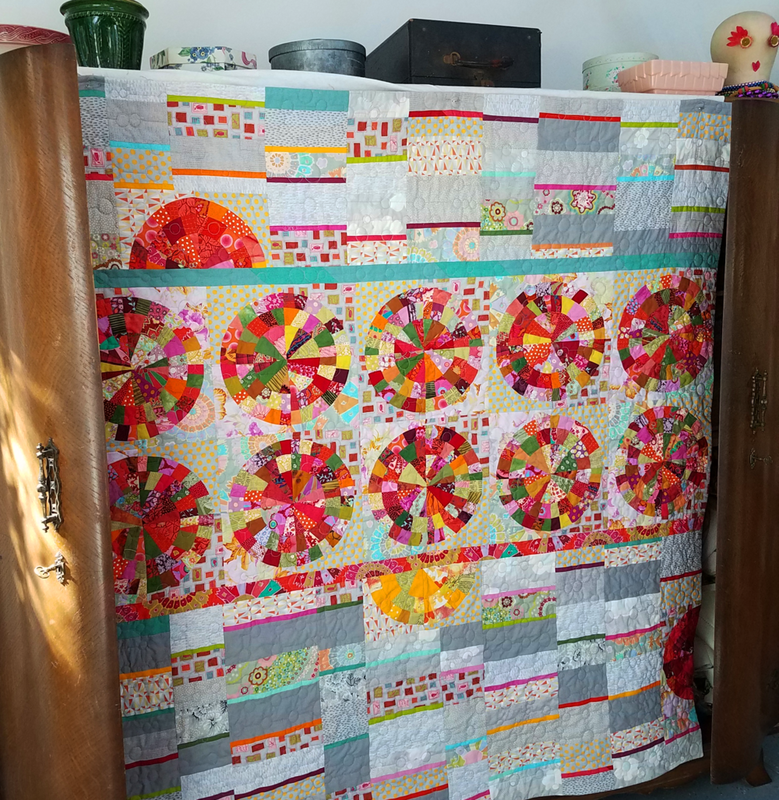 This particular example was designed by Pat Albeck. Vogue, 1954. In 1953 John Tullis asked Pat Albeck to produce a fabric with a large scale lobster for a beach skirt. She felt it did not work on it's own, so added flowers and butterflies. I'm once again choosing a new palette with which to go forward, and have turned to one of my favorite color resources. 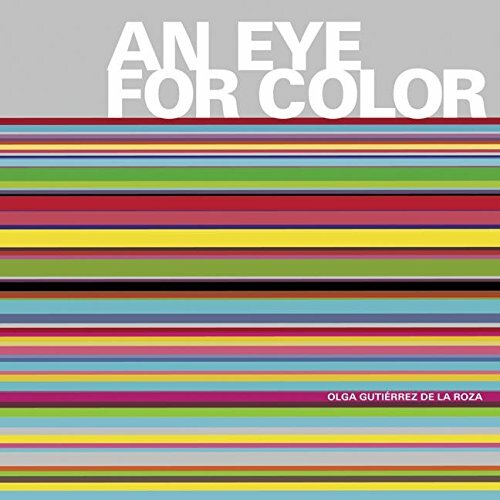 An Eye For Color by Olga Gutiérrez De La Roza is a very appealing little book for designers of all sorts. Well, I suppose it ought to be as Ms. Gutiérrez De La Roza was formerly the Design Director of Promotions for Glamour magazine and taught Masters-level courses in design at Pratt Institute. There's probably some magical formula in her head that explains the particular appeal of the book's shape and size; when I first saw it, I just had to pick it up. And then open it. And then of course, buy it. 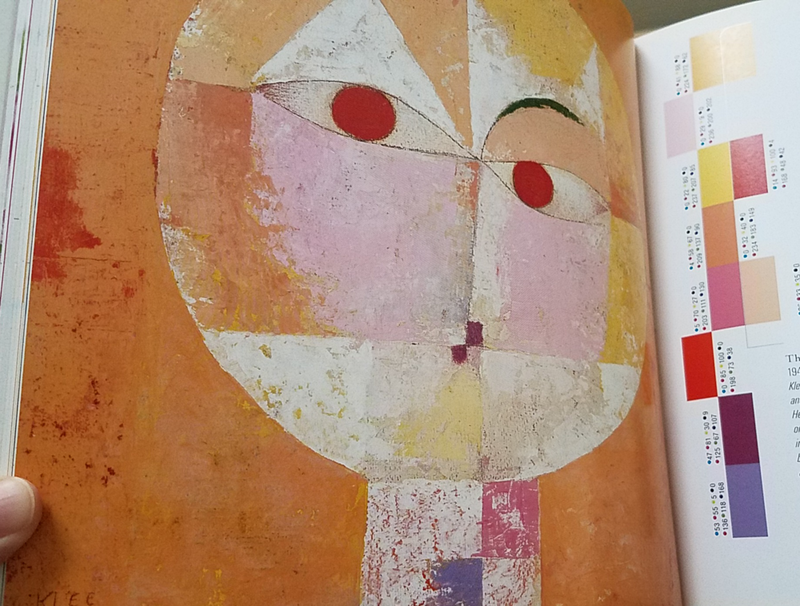 The whole idea of the book is to teach you to see color, and to create your own color palettes. But meanwhile it's chock full of delectable color schemes, as summoned forth by Ms. Gutiérrez De La Roza. 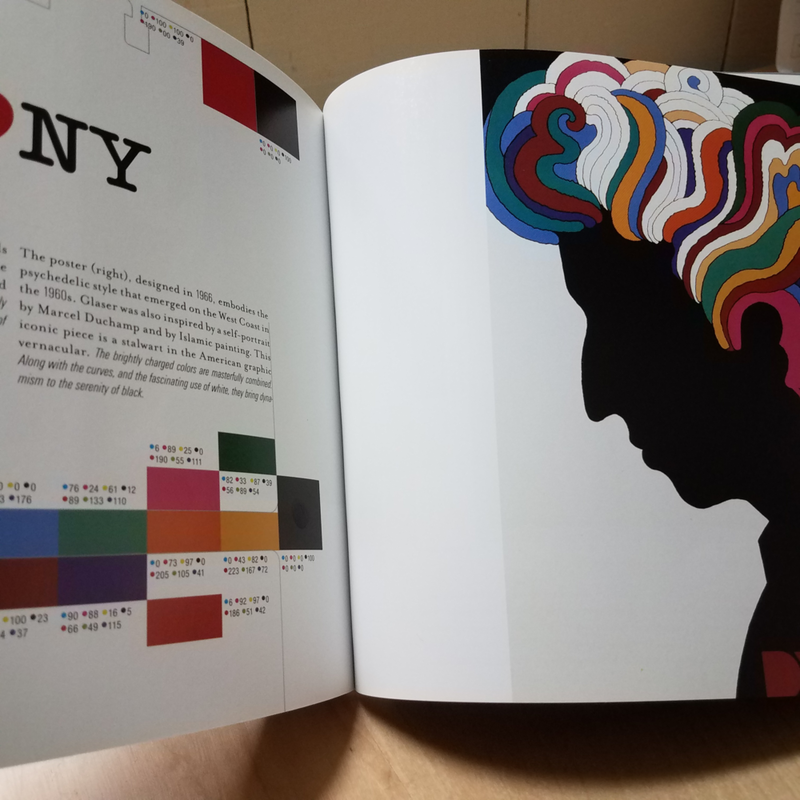 She culls her palettes from every corner of the art and design world, including ninth century religious illuminations, interiors photos, illustrations from the heyday of print advertising, and even Milton Glaser's iconic Bob Dylan portrait. Each palette is accompanied by both CMYK and RGB codes. The book is organized by color, and it's only my bias that has orange and pink heavily represented here! Punch-out rolodex cards are included in the back, encouraging you to begin your own personal collection of palettes. Below are a few intriguing images from the book. Note: As you can see, I am an Amazon Affiliate. If you wish to purchase the book, just click on the image above and I'll get a few cents off the sale. I'll be reviewing more books here on my blog, hopefully one a month. There a lots of favorites on my shelves! Thought I'd share my first .gif. I took Zara Martina's Skillshare class, Create GIFs From Illustration in Photoshop. The class was great; easy to understand, with all steps clear and well explained. And, as with many things, once you know the trick, creating GIFs is surprisingly simple! Mixing and fine tuning my colors. With nine colors, I had lot of room to play. I really had fun using other media with my palette too. Copic markers in colors that toned well created layers and visual interest. I love palettes with close tones, but this presented a challenge when cleaning up my scanned images in Photoshop. When choosing my next palette to work with, I'll keep that in mind. Paint mixing notes, and printer swatches to match. Recent paintings with my current palette. Top left and bottom right are painted over toning colors of Copic markers.